This is to draw your attention towards a specific case of the lawlessness in Okhla that is setting a very bad precedent now that the after expiry of consent to operate, even the provisional authorization of for municipal solid waste (MSW) based thermal power plant of Timarpur-Okhla Waste Management Co Pvt Ltd (TOWMCL) of M/s Jindal Urban Infrastructure Limited (JUIL), a company of M/s Jindal Saw Group Limited has expired on December 31, 2016. We submit that the minutes of the meeting held on 24/06/2016 under the Chairmanship of Chief Secretary, Government of NCT of Delhi to implement the orders of National Green Tribunal in the matter of Original Application No. 22/2013 reveals that “Regarding Okhla plant it was informed by the DPCC, that as per the decision taken by Consent Management Committee (CMC) in its 26th meeting held on 11/3/2016 the plant may operate on provisional basis and improve its emission standards to 30 mg/Nm3 as per direction of DPCC/Hon’ble NGT for transitional period till 31/12/2016. The Chief Secretary, Delhi, desired that the Chairman DPCC should take a meeting with all the stake holders, and an all out effort should be made to improve emission standards before 31/12/2016”. (Source: Department of Urban Development, Government of NCT of Delhi dated 06.07.2016 (F.N 13/56/CC/MB/UD/2016/1327-1341). It is quite clear from this minute that after the expiry of consent to operate, provisional authorization too has expired on December 31, 2016. We submit that the official documents reveal how conditions of Land Allotment to New Delhi Municipal Council (NDMC), the municipal council of the city of New Delhi imposed by Delhi Development Agency (DDA) have been breached to facilitate “land grab” for a hazardous waste to power plant in Okhla endangering public health. It may be noted that Indian waste has hazardous waste characteristics. We submit that a letter dated June 18, 1980 sent from DDA to NDMC on the subject of allotment of land at Okhla for compost plant. The letter specifically states the conditions for the allotment. The letter reads: “The land shall be used by N.D.M.C. for the construction of compost plant and for no other purpose whatsoever.” It further reads: “The land shall not be transferred to any other Department without prior permission of DDA obtained in writing.” Another letter from DDA dated August 4, 1995 sent to N.D.M.C. reiterates: “The allotted land shall be used for the purpose of compost plant and no other purpose whatsoever”. These letters reveals that the allotment of land to NDMC was a conditional allotment subject to compliance with the stated conditions. 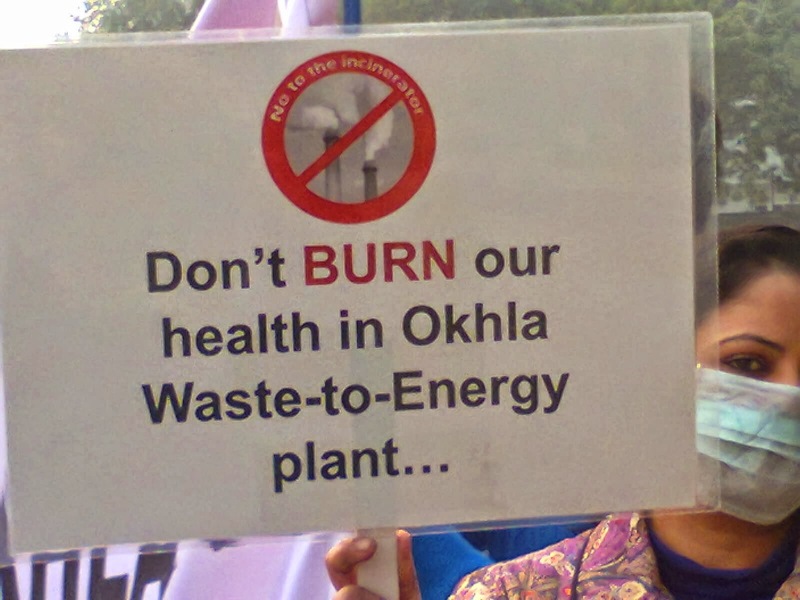 Given the fact that NDMC has violated these conditions in an apparent exercise of facilitating “land grab” for municipal solid waste (MSW) based thermal power plant of Timarpur-Okhla Waste Management Co Pvt Ltd (TOWMCL) of M/s Jindal Urban Infrastructure Limited (JUIL), a company of M/s Jindal Saw Group Limited. In a significant disclosure it has come to light that there are two lease deeds for a total of 13.5 acres. NDMC has violated the conditions imposed by DDA with regard to both of them. It is noteworthy that Appellate Tribunal for Electricity for New Delhi headed by Justice Surendra Kumar and Mr Rakesh Nath recorded on 19th May, 2015 a submission about “Land leased by NDMC on nominal rate” as part of “promotional steps were taken to promote Timarpur Okhla’s Plant” as part of its Judgment in Appeal Nos. 251 of 2013 and 325 of 2013. The company Timarpur-Okhla Waste Management Company Ltd (TOWMCL) Old NDMC Compost Plant, Behind Central Road Research Institute (CRRI), Mathura Road, New Delhi was appellant. We submit that the documents from 1980, 1995, 2008 and 2015 create a compelling logic for DDA to cancel the land allotment to NDMC and ensure that the land from TOWMCL is taken back and given to DDA. We submit that as you are aware even a minor change with regard to land use is required to published in the Gazette notification but the same has not been done. Had DDA permitted changes in land use at Okhla, it would have published a similar Gazette notification. We have been struggling against this project in question since March 2005. Besides violating all the environmental clearance conditions and conditions laid down in the No Objection Certificate under Air (Prevention and Control of Pollution) Act, 1981 and the plant Water (Prevention and Control of Pollution) Act, 1974, this plant has violated the Battery Limit as well. It is noteworthy that the waste incinerator based thermal power plant is located exactly in the vicinity of the residential colonies. We are at a loss to comprehend as to why has Delhi Government not acted to save public health in the face hazards from a highly polluting plant which has violated every environmental norm and caused serious public health crisis. Unmindful of the demands of the environmental groups and residents who seek closure of the plant, the Chief Secretary has been paying lip-service about making efforts to “improve emission standards.” This is manifestly misleading given the fact that emission standards fixed by law have to be complied with and in the case of non-compliance the plant has to be shut down for good. The legality of allowing the plant to operate with “provisional” consent following withdrawal of consent to operate is highly questionable. Given the fact that all the relevant clearances were granted for RDF technology, not for the unapproved Chinese technology which has been used by the company, the grant of provisional consent demonstrates collusion and connivance of the DPCC and Delhi Government. Its reference to NGT’s order for doing so is an exercise in creative construction of legal argument to justify the environmental lawlessness in the national capital. We submit that the plant is amidst residential colonials and institutions of national importance like Central Road Research Institute, Institute of Genomics and Integrative Biology and the Indian Institute of Information Technology. Such toxic emissions from the Jindal's power plant in an ecologically sensitive area and thickly populated area has become a routine affair with all the concerned authorities turning a blind eye towards this illegitimate and illegal act. Besides violating the Master Plan, this plant has violated all the rules in the rule book including environmental clearance conditions. We submit that this power plant of TOWMCL was supposed to use RDF technology but it is using an unapproved Chinese technology brought to light by the report of Technical Experts Evaluation Committee headed by Chairman, Central Pollution Control Board (CPCB) prepared pursuant to 22th March 2011 dated order of the Union Minister of Environment & Forests. This constitutes deviations from approved technology. The Chinese technology provider is from Hangzhou New Century Company Ltd of Hangzhou Boiler Group. The High Powered Technical Experts Evaluation Committee of CPCB in its 31 page report on the Timarpur-Okhla Waste to Energy Incinerator Plant brought to light the illegalities committed by Jindal's TOWMCL. The report was communicated on March 22, 2012. This report is based on three meetings of the Technical Experts Evaluation Committee held on April 26, 2011, August 11, 2011 and September 22, 2011 under the chairmanship of Chairman, CPCB. We submit that in a related case in an earlier order Delhi High Court has observed, "10. In Master Plan for Delhi, 2021, notified on 07.02.2007, hazardous waste processing viz. hospital/medical/industrial waste is amongst the industries, manufacturing of which shall be prohibited within National Capital Territory of Delhi." The Court observed that "This is a mandatory requirement of the guidelines issued by CPCB, that such facility should be far away from residential and sensitive areas"
It is may be noted that substitution of technology is prohibited under the provisions of the Environmental Clearance. 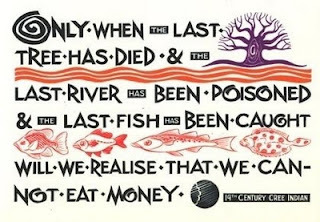 It is deemed dangerous to according to a report of CSIR-National Environmental Engineering Research Institute (NEERI). What is also important is that the consent to operate clearly mentions biomethanation and RDF as the route to energy production and does not provide for incineration at all. This plant is owned by Shri Prithviraj Jindal who won an open tender in 2008 to build and operate the plant for 25 years at a project cost of Rs 240 crore. It is apparent that the owner has ignored the disastrous environmental health consequences of plant’s operations. We wish to inform you that this plant occupies some 10 acres of green area under the Master Plan of Delhi. In view of the above submission, we seek you intervention to ensure compliance with conditions imposed by DDA, relevant environmental rules and consider closure of the Dioxins emitting power plant located in a residential and ecologically sensitive area. We wish to meet you to share the relevant documents and apprise you of the situation. Kindly grant us the permission for the same.